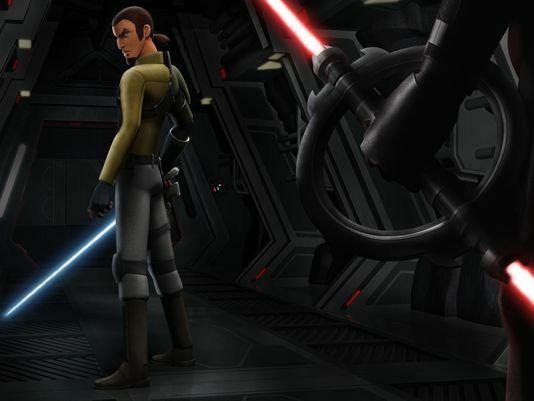 USA Today has the reveal of our new “Cowboy” or “Samurai” Jedi, Kanan! For weeks now, we have stumbled over the pronunciation of the name. Oddly, it “Cane-an” was my first take before being seduced by Dark Side, this is, hearing others say it differently. I loved the shot of the lightsaber in the drawer. It was like when a retired cop goes back to his drawer, putting away the whiskey, and taking out his gun once more. Kanan looks good! Also, the casting of Freddie Prinze Jr. probably means the rest of the THR casting report is accurate as well!